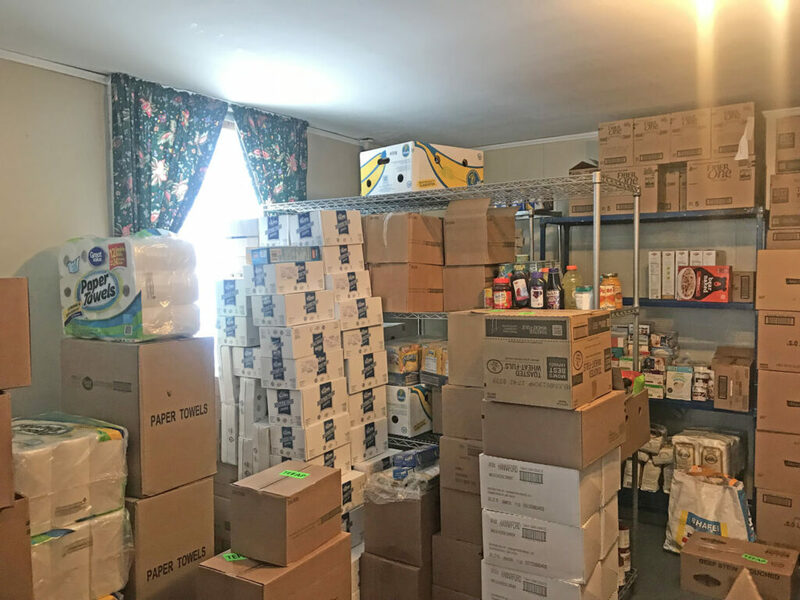 BETHEL — “We need more people to be aware of what’s available here,” Administrator of the Bethel Food Pantry Dave Bean said. The Pantry is located at the Nazarene Church at 16 Church Street. The main entry (side entrance) has a large sign saying “Bethel Food Pantry” and is located on the Park Street side of the building. The pantry is open the second Monday of every month from 12 p.m. to 8 p.m. If everything is set up before noon, they will open earlier. The pantry can also be flexible if people cannot make it on Tuesday due to inclement weather or other reasons. Bean estimated between 70-90 families are helped out each month. The pantry also provides weekend meals for Crescent Park’s “BackPack Program,” which helps students who may be underserved at home. The pantry receives most of its food from Maine, and some locally. Both Swain Family Farms and Middle Intervale Farms also donate food to the pantry. “We want the Bethel community to be a place where everyone can eat healthy food,” coordinator Bonnie Pooley said. The 31-year-old operation serves 13 towns, large in part from the many people who lend a hand. Bean said there are nearly 100 volunteers on an email list. The pantry usually needs 22 volunteers to make it through a day. Shifts last between two and three hours long. Volunteers play a huge role in their success, he said. On a monthly basis, Bean and other volunteers drive to the Good Shepherd Food Bank in Auburn and pick up a truck load of food. They get 5,000 pounds of food a month from the food bank. The Bethel pantry supports both the Andover and Woodstock pantries whenever they can, said Bean. This means giving the pantries some of the crops that they get from the Good Shepherd Food Bank. “We’re all going to do better if we help each other,” he said. The main goal of any pantry is to reach as many underserved people as possible. According to Feed America, more than 183,000 Maine residents suffer from food insecurity, with over 50,000 being children. In Oxford County, more than 8,000 children and adults are living in food-insecure households. “If there’s any one goal, it’s that we love this community and we want it to be strong and we want everyone to be taken care of,” Pooley said. People can reach the pantry by calling 824-0369. To donate, send funds to Bethel Food Pantry P.O. Box 232, Bethel 04217.